As temperatures start to cool off around the country, the kids become settled in their school time routines, and leaves begin to change color, thoughts of Halloween parties, trick or treating, and Halloween costume contests fill young minds everywhere. Are you ready for the spookiest time of the year? You’ve come to the right place! Lillian Vernon is your Halloween Headquarters, with trick or treat bags, Halloween décor, and spooktacular party ideas galore. With Halloween being the first truly full-fledged fall holiday, it’s a great time to decorate using warm, earthy autumn hues, if you haven’t already done so. Leaves have likely changed color, so a fun afternoon nature walk with the kids can yield an abundance of multi-colored leaves, pine cones, and fall berries to repurpose inside the house as a way to bring fall colors inside. A fun fall project that is also perfect for a Halloween decoration is to make pine cone people using googly eyes for the faces and dry moss for hair. The kids will have a great time putting together a pine cone family, and it’s a simple way to bring a little whimsy to your fall décor. To make Halloween extra special and really fun for the kiddos this year, break out the stuff they go crazy for like super cool slime, light up Halloween bracelets, jack-o-lantern socks, and the ever-popular “How to catch a monster” or “Berenstain Bears Happy Halloween 3 Books in 1” storybooks before the last day of the month. Who says Halloween can only be celebrated on October 31st? Make it a family project to decorate the house and yard, including a spooky wreath for the front door. Starting with a grapevine base you can pick up at any hobby store, grab your hot glue gun and add your own fall and Halloween decorations like mini-pumpkins or jack-o-lanterns, rubber spiders, a plastic skull or two, some webbing and flashing lights. Add a few construction paper bats flying above the wreath, and your door is Halloween ready in a flash! For some fun food ideas for your Halloween party, Sunset Magazine has some spectacularly spooky (yet healthy!) recipes to fuel a night of revelry, like Bell Pepper Jack-o-Lanterns with Vegetables and Dip, Halloween Ham and Cheese Hand Pies, Pie-Spiced Pumpkin and Sunflower Seeds, and Pumpkin Curry Empanadas. Fix a few of these healthy treats to feed your boo crew before they hit the neighbors up for some candy, and they’ll be less likely to fill up on sugar and chocolate this year. For the mature party crowd, Sunset has you in mind with their handy list of suggestions for the best wine to drink with your favorite Halloween candy. Now that’s what we call useful information! If you’re not into handing out candy but don’t want to leave your trick-or-treaters empty-handed, there are some fun alternatives that won’t disappoint, like temporary tattoos, inexpensive glow sticks, bracelets, necklaces, Halloween erasers. 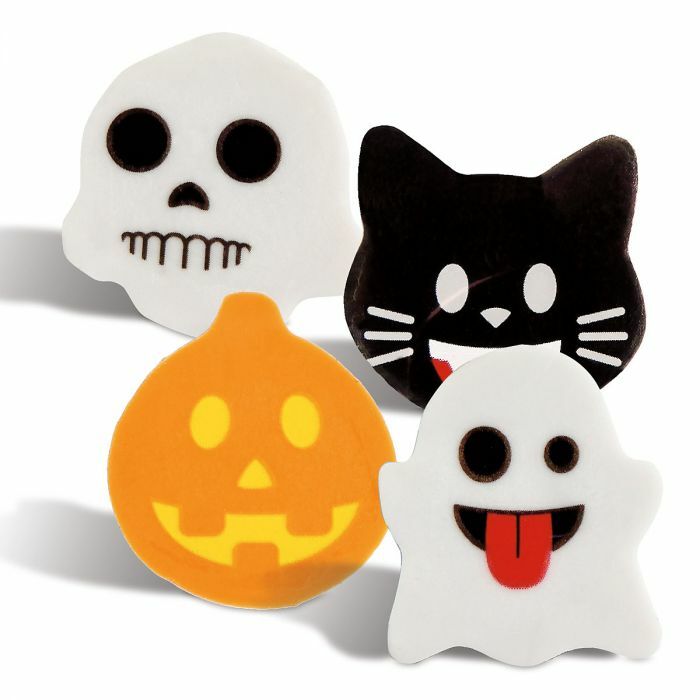 The kids can use them right away and add to their future Halloween party collection. No matter what you and your crew do this year for Halloween, whether you go all out with a big house party, keep it simple with a leisurely neighborhood stroll or parking lot trunk or treat celebration, or hide out in the basement with the lights out watching a spooky movie, we hope you and yours have a great time and stay safe as you enjoy this special holiday. Previous PostStaycation vs Vacation | Which one is right for you?